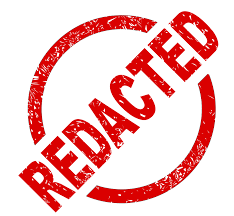 Scrubbed for secrets, a redacted document obscures the confidential information that is not for public consumption. 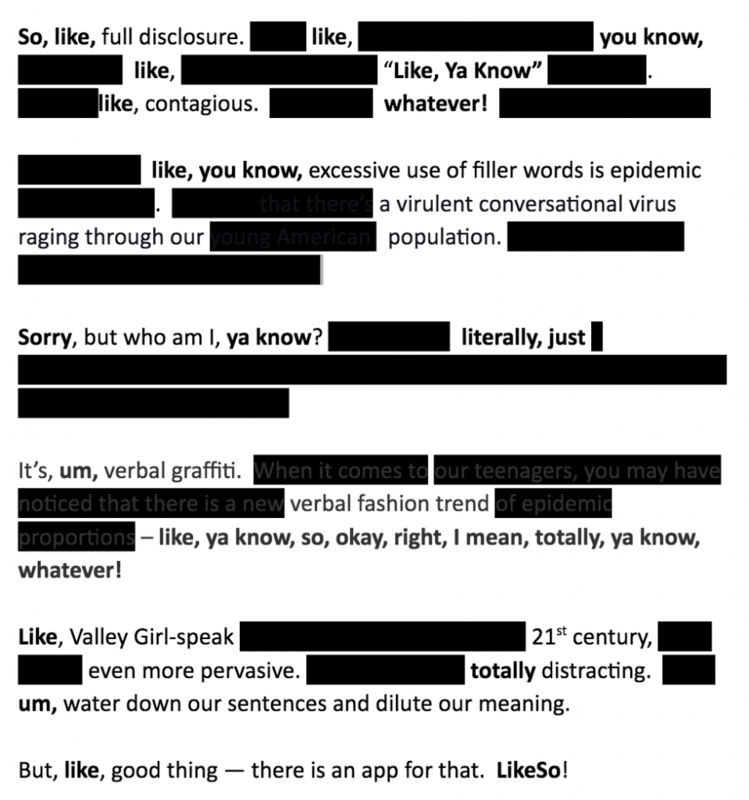 I had a thought…What if we could redact our speech? What if we could scrub out the substantive content and REVEAL and then ELIMINATE those distracting filler words that water down our sentences and dilute our meaning? Then, I had another thought… I’ve created an app for that! LikeSo uses voice recognition technology to parse our speech and reveal those words that get in the way. Like, so, totally, cool! Right?